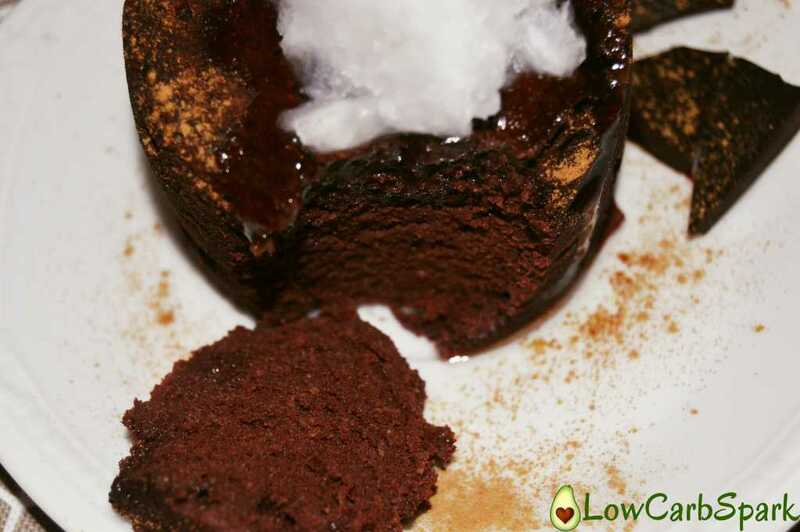 This it’s super easy keto chocolate mug cake is grain-free, gluten-free, keto-approved recipe that requires only a few ingredients and it’s done in less than 5 minutes. 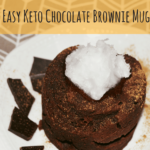 This keto mug cake is perfect for any low carb diet as it has only 4g net carbs for the entire mug. 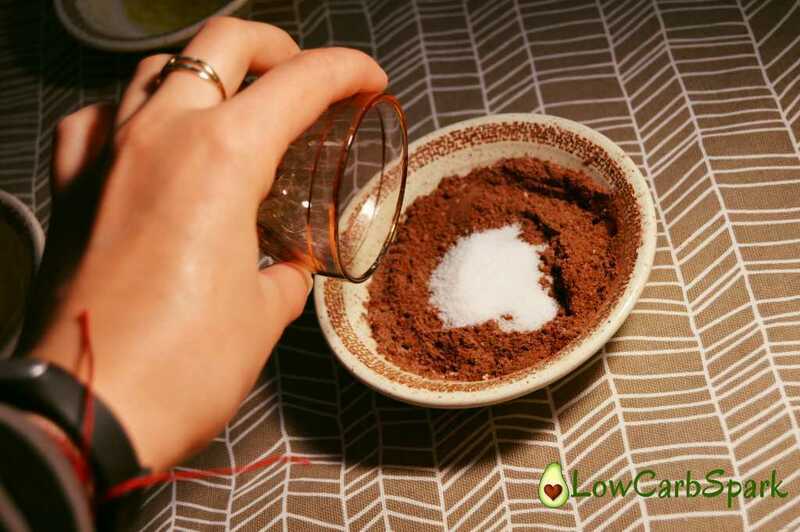 If you think eating sweets on a keto diet it’s impossible, let me show you how you can make a delicious and super low carb sweet treat. 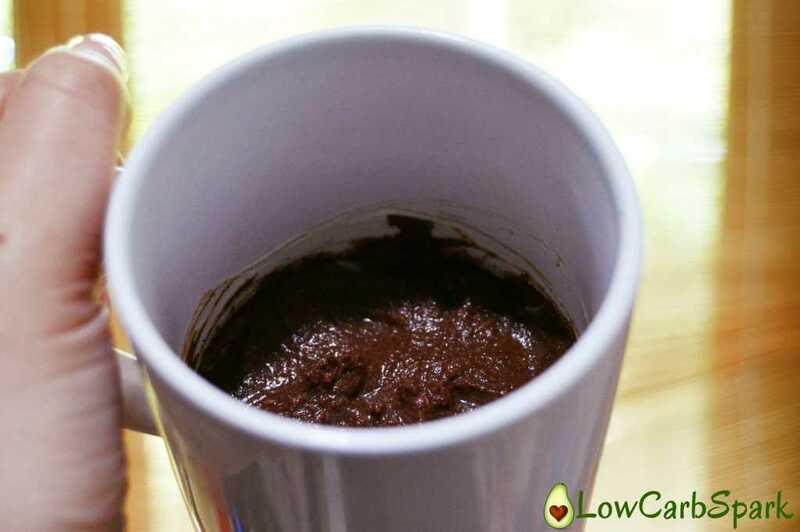 When I’m having a sweet tooth, this low carb mug cake it’s my savior, so make sure you save it for later. It will help you stay on track and will make your journey a pleasure. Your favorite sweetener. 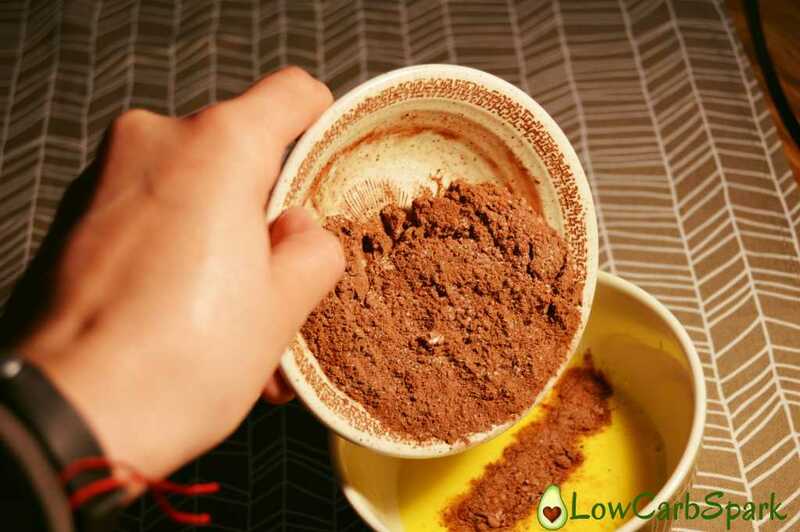 I love to use monk fruit or erythritol. Once you gather all the ingredients, let’s go further and start cooking. 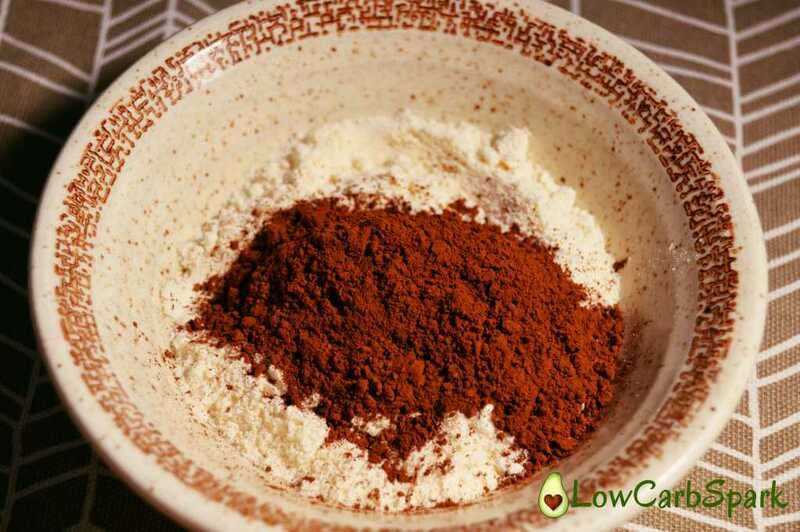 We’ll begin to combine the dry ingredients: the coconut flour, cocoa powder. Add the sweetener. You can add more or less, depending on your taste. 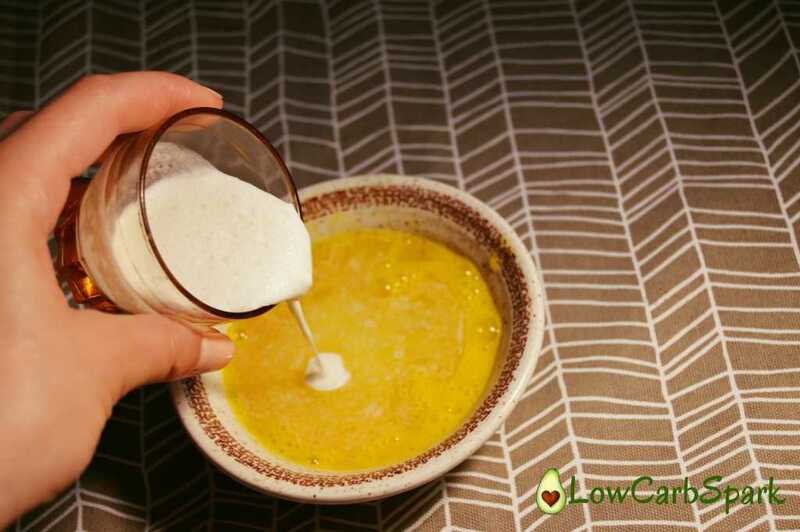 Combine the wet ingredients: the melted butter, the beaten egg, the whipping cream and the almond milk. 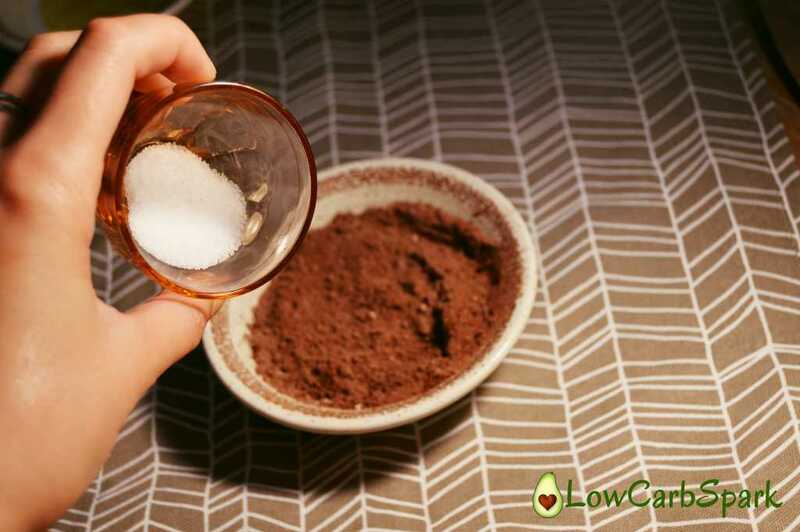 Make sure you use unsweetened almond milk. Mix the dry and the wet ingredients together. 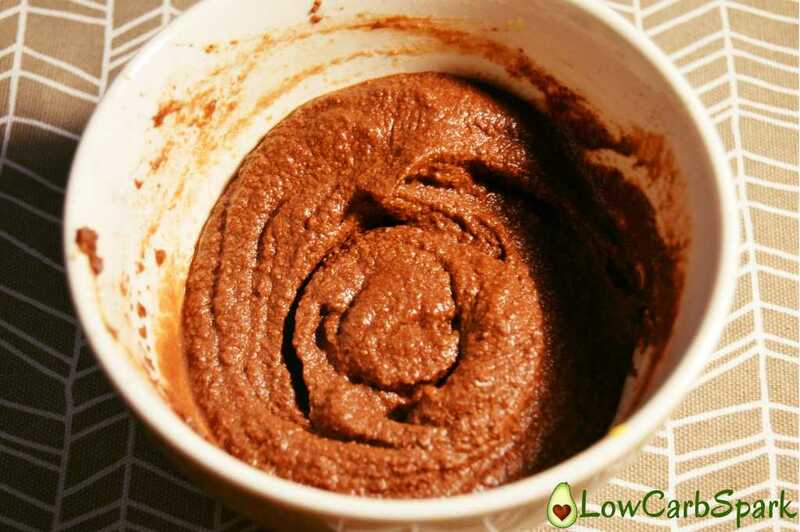 If your mixture it’s too thick add more almond milk or water until it gets a nice brownie batter consistency. Butter your favorite mug and pour the mixture. Place it in your microwave for 2-4 minutes (depending on the power of your microwave) or until your skewer comes out pretty clean. Mine took 3 minutes to be perfectly cooked. When it’s ready, it should come out of your mug quickly. You can serve it directly from your cup, but I prefer to put mine on a plate and serve it with some dark chocolate, cinnamon and sometimes with coconut oil on top. As you can see the consistency, it’s similar to the real chocolate brownie. Trust me, you’ll feel like eating the real thing. This is one of the recipes that I’m making almost every day. Sometimes I don’t even add sweetener because I like the bitter taste too. I love that the coconut flour absorbs the liquids well and it won’t be wet & eggy. 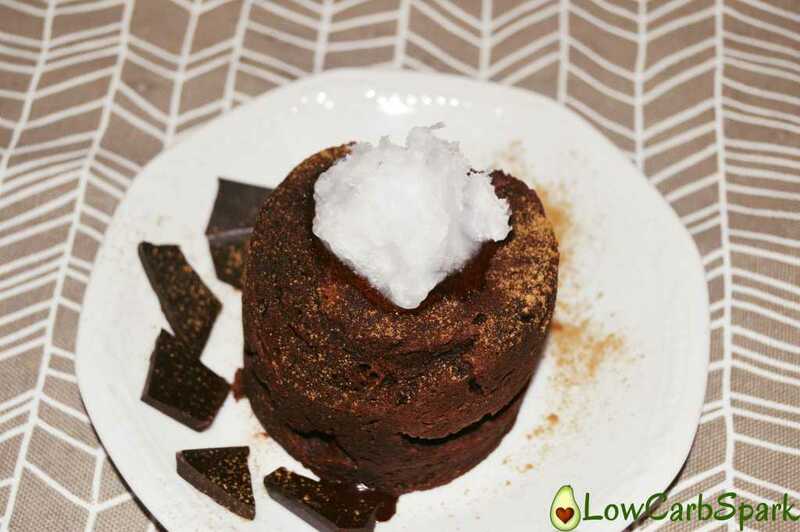 Imagine eating this keto mug cake with fresh whipped cream on top or with vanilla keto ice cream. Sounds divine? 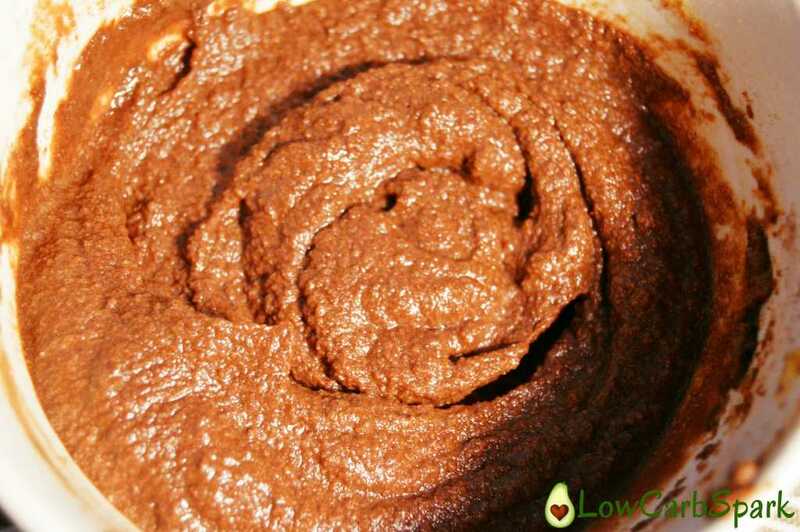 Make it now and serve it with a delicous keto coffee. Let me know if you made this recipe and how it turned out. 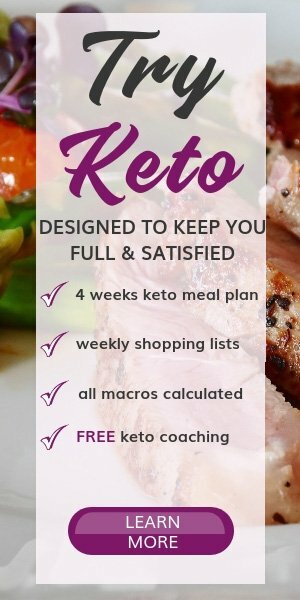 What are your favorite keto/ low carb desserts? 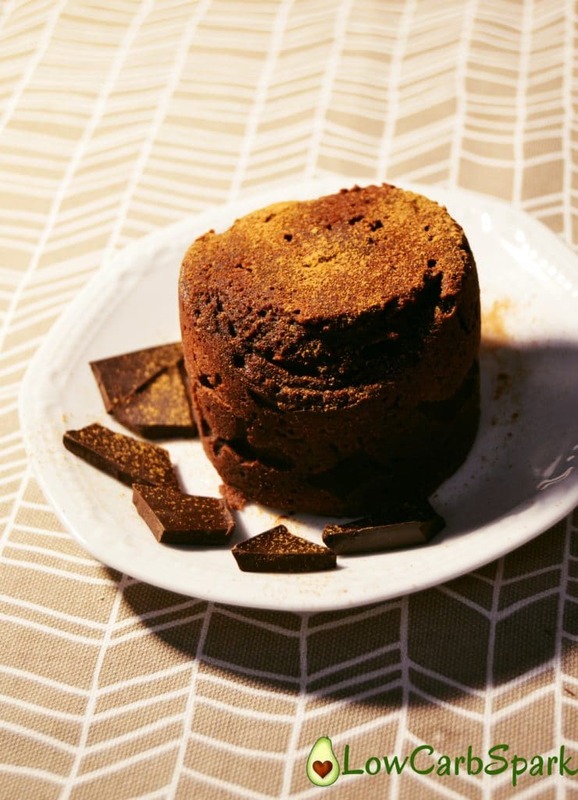 This is one of the easiest keto desserts that it’s done in less than 5 minutes. It’s grain-free, sugar free and tastes heavenly. The texture it’s similar with the real brownie. You should give it a try! 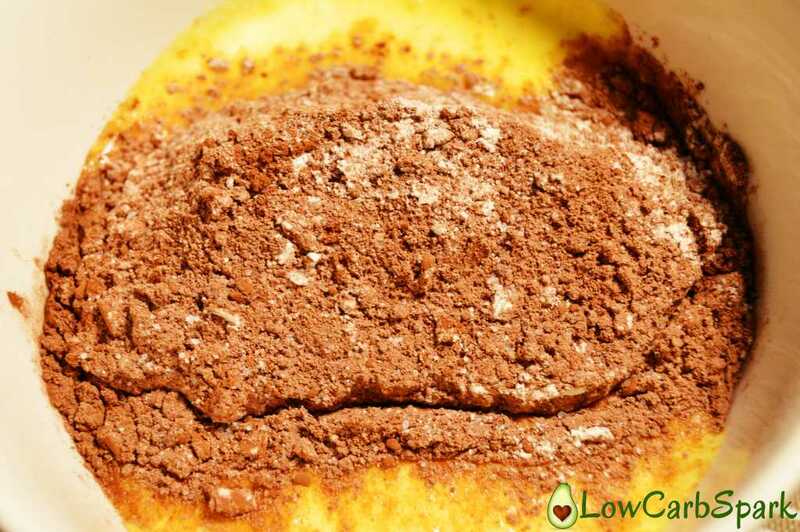 Combine the dry ingredients: the coconut flour, cocoa powder, and sweetener. 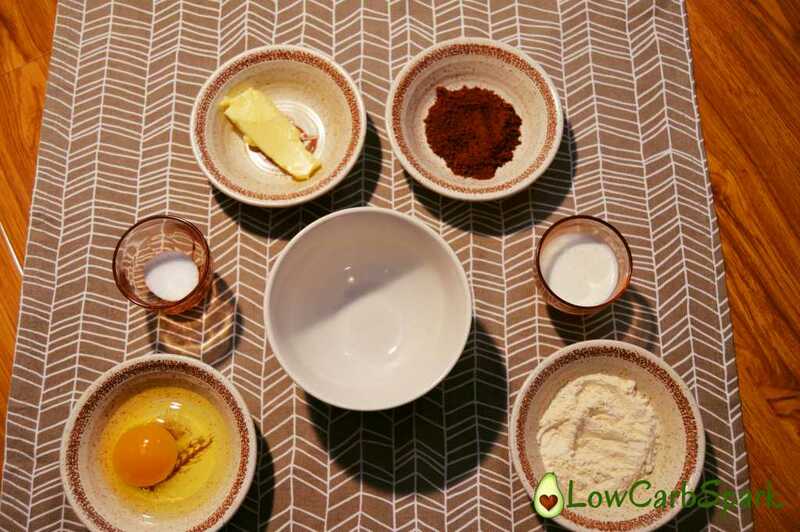 Combine the wet ingredients: butter, whipping cream, egg, and water or almond milk (if necessary). Mix well the dry & wet ingredients. 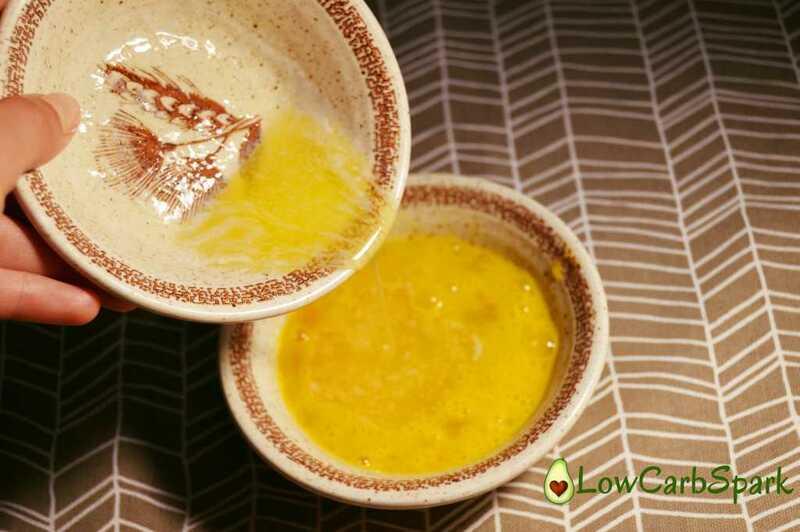 Grease your mug with some butter or nonstick spray. Microwave for 2-3 minutes, depending on the power of your microwave. 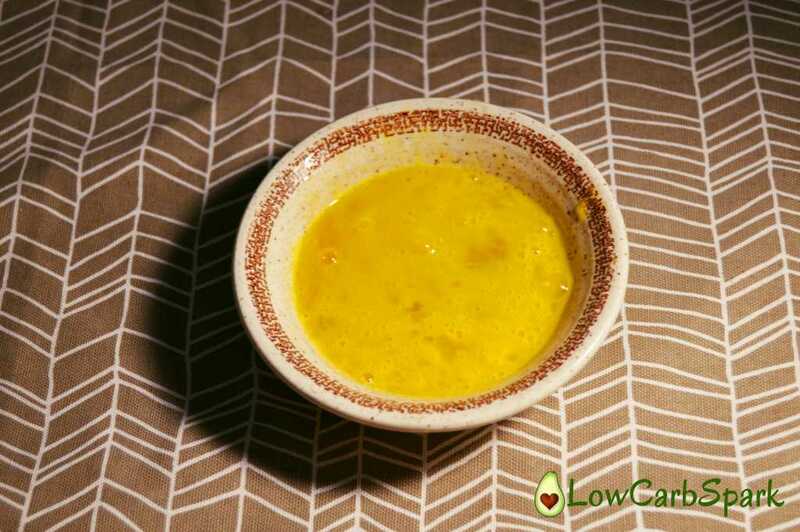 Serve it with coconut oil on top for more healthy fats. YAY!!! Gonna give this a try! What kind do mug did u use? I have those Iil 6-8 oz glass ramekins…. Would those work?? Thanks in advance! DELICIOUS! I topped with 2 tbsp of Enlighten Triple Chocolate ice cream and whip cream…. YUM! Thank You! They cane out delish! I added a few sufar free chocolate chips and it was so good!!!! 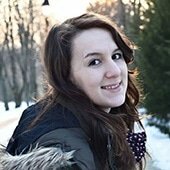 Thank you, Sonia! I am really happy you enjoyed the recipe!